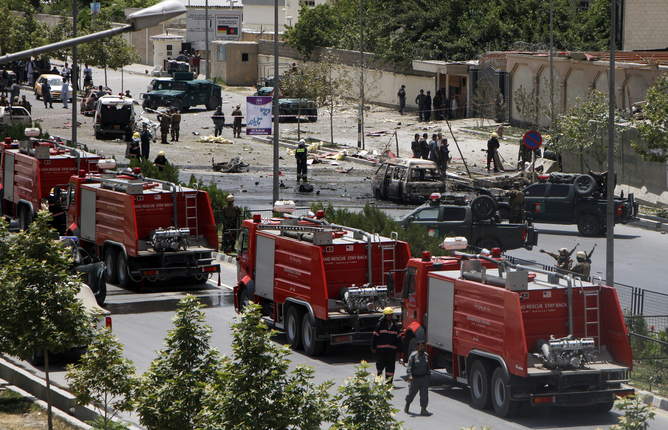 Taliban parliament attack: is this the end of Ashraf Ghani? In April 2014, I wrote about “hope and pride” as Afghans turned out in massive numbers to vote for a new president. That hope has disappeared. It has been replaced by bitter disappointment and a dull fear. It is now at least three months since I have heard anyone defend Ashraf Ghani or tell me: “be patient – he has a plan”. Watching coverage of the Taliban attack on the parliament building in Kabul on June 22, I was struck by the absence of any sympathy for the parliamentarians caught up in the gunfire. People seemed to feel their representatives had brought this attack on themselves (though the latest reports indicate that – once again – it is civilians who have been injured in this attack). The sense of betrayal is palpable. The Afghan population is astounded by the country’s sharp economic decline, given that this was a president who took office with years of experience at the World Bank and as a finance minister (although it must be said that the decline is, in part, due to factors beyond Ghani’s control, such as shrinking labour markets caused by NGOs and foreign governments shutting down or reducing their operations). During the election campaign, Ghani’s supporters proudly touted him as a man who came second in a poll of the world’s top 100 intellectuals – but now local taxi drivers pin pictures of his predecessor Hamid Karzai to their windscreens and dismiss Ghani as an educated but foolish man. They are appalled by his apparent inaction on both the political and security fronts. He has taken months to choose his ministers – the Taliban attacked parliament on the day the new defence minister Masoom Stanikzai was finally presented to parliament, nine months after Ghani’s inauguration as president. In the judiciary and across the provinces, many of Ghani’s temporary appointments – made to buy time before making the right permanent choice – are still in place, but with no budgets and no decision-making making powers (the president’s micro-managing is already legendary). To an extent, Karzai had it easier. He was bankrolled by other countries, which poured billions of dollars and thousands of troops into the country. Ghani now has far fewer of both to rely on. But it is less the absence of money that is angering people and much more the impression of a political elite that were so busy jockeying for position and looking after themselves that they have allowed the country to slide into insecurity. The insurgents have taken control of districts across the country from Kunduz in the north to Helmand in the south. The Taliban has gained in strength (despite its own internal divisions and alliances with Islamic State that have quickly become rivalries). The number of civilian casualties is increasing (up 8% on 2014 figures). Travel between the provinces is now much more difficult, especially for those who cannot afford the airfare. The number of kidnappings has increased steadily since the beginning of 2015. They are often carried out by criminals rather than insurgents, but target Hazara, a historically oppressed minority. Faced with this situation, the number of people planning to leave has inevitably risen. Fewer and fewer Afghans have any faith in their government or the future of their country. Attacks like the one on the parliament are often the kind that prove to be the final straw for individuals. As I walked into the office of a colleague an hour after the bomb blast, so loud that the students outside our windows screamed in fright, she looked up and said: “I just spoke to my husband. We will not be here this time next year. This is not a life – trying to call each other after each blast to make sure we are ok”. This month, Syria overtook Afghanistan as the country of origin for the highest number of refugees in the world. It should not be assumed that this is because the situation in Afghanistan is better - it is not. It is just not quite as bad as Syria. And until Afghans, Syrians and Eritreans feel safe at home, they will continue to flee. The roots of the global migration crisis are here, in countries of origin, not on the south coasts of the Mediterranean. Dr Liza Schuster is a Reader in Sociology, in the Department of Sociology, at City University London. She is currently on secondment to the Afghanistan Centre at Kabul University, Afghanistan.